Located at 2505 Sand Creek Road in Brentwood CA, Justice Streets Of Brentwood is a major retail destination for fashion-loving tweens. From the clothes and accessories your girl wears to express her style, to PJs and all the little extras that make her space her happy place, we’re dedicated to delivering awesome fashion for every girl every day, all at a great value. 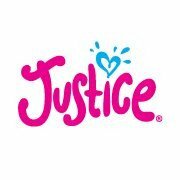 Justice believes every girl can change the world. And it is our goal to remind her of that every step of the way. We’re on a mission to inspire every girl to have the confidence to chase her dreams, no matter how big they are. Celebrating all that makes her unique, we empower her to Live Justice: Live Active, Live Connected, Live Together, Live Smart, Live Positively, and Live Creatively.